I read this article and found it very interesting, thought it might be something for you. The article is called Ep 10 – The Accidental Copywriter and is located at https://copychief.com/ep-10-patty-dominguez/. 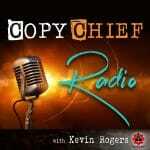 A few weeks back, there were some great episodes of Copy Chief Radio and I want to make sure you knew about them. In case anyone is new, Copy Chief Radio is the show where we go into the trenches of the community. 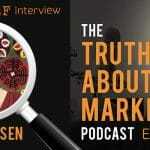 This is where we get deep into marketing to find out what’s working, and why. Each episode is short, but by the time you finish listening, you’ll have at least one money boosting tip you can try out immediately. I invited Patty Dominguez on Episode 10 to talk about her journey into direct response copywriting. As a business owner who was intimidated by copywriting, we went a level deep to find out what held her back. Then we learn how copywriting (and a few other interesting habits) has transformed different parts of her business. In today’s episode, you’ll discover what business owners need to understand to use the words of influence to drive their business. Want to think quicker on your feet? Learn about the challenge Patty took that 10x’d her conversation game.